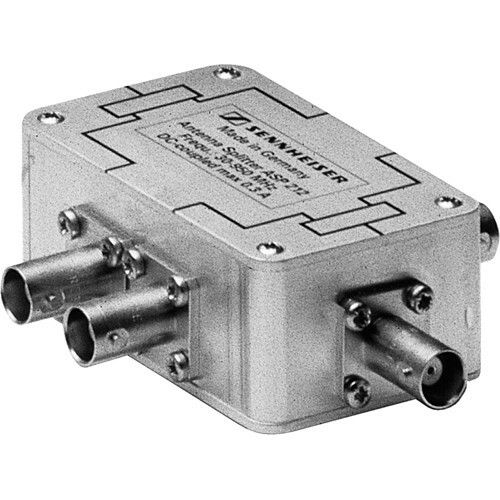 The ASP 212 from Sennheiser is a 2-way passive antenna splitter. The splitter is DC-coupled for use with antenna boosters. Box Dimensions (LxWxH) 7.0 x 4.0 x 1.4"